As the two main Sinhala political parties, the United National Party (UNP) and Sri Lanka Freedom Party (SLFP) clash over whose political party captures the Prime Minister’s post and whether the dissolution of Parliament is legal or not, the plight of the Tamil people, who suffered mass atrocities amounting to war crimes, crimes against humanity, and genocide, continues to confront a dire future. The international community,which rushed to try to solve the current political crisis, should expand its focus to address the plight of Tamils, to include establishing measures, to prevent future mass atrocities,to bring justice for past international crimes to bear, and to push for a permanent political solution that reflects the political aspirations of the Tamil People. After all the hope built up through the promises of the 2015 Good Governance coalition, it is now clear that these promises were nothing more than an effort to deflect pressure for a transformative change and that no Sinhalese-dominated party is willing or able to provide real relief to the Tamils. As happened with Kumaratunge in 1994, with Wickremesinghe during the 2001 ceasefire, and with Rajapaksa in 2009, Sri Lankan governments promise transformation and deliver little. Tamils remember all of these occasions. Promises for a constitutionally-guaranteed devolution initiative came to an end with the current crisis, when the two partners in the government split, resulting in the President dismissing the Prime Minister. Since independence, the Tamil National Question has been treated by the main Sinhala political parties, namely the United National Party (UNP) and the Sri Lankan Freedom Party (SLFP), as a political weapon to wield against each other to capture power. When late PM S.W.R.D. Bandaranayke signed a pact in 1957 with the late Tamil leader Mr. S.J.V. Chelvanayagam (Banda-Chelva Pact), the leader of the United National Party (UNP) marched against it. And the Pact was torn up. Similarly, when the UNP’s late Prime Minister Dudley Senanayakaye entered into an agreement in 1965 with Mr. S.J.V. Chelvanayagam (Dudley-Chelva Pact), the SLFP opposed it. And the Pact was torn up. The ethnocratic nature of the Sri Lankan state, in which the Sinhalese Buddhists form a majority and vote as a block on issues to do with other communities, facilitated this failure to solve the Tamil National Question. When the new coalition government formed in 2015 between the Sri Lankan Freedom Party and the United National Party, with the promise of “good governance”— was hailed as a panacea to the Tamil National Question, some were skeptical. It was stated that the alliance between the two main parties would secure the two-thirds majority necessary to change the constitution, and also provide support for the required nationwide referendum to bring constitutional changes to address the Tamil National Question. The government eventually proposed constitutional amendments which fell far short of satisfying Tamil political aspirations. The constitutional amendments were to be submitted to the Parliament on November 7th to embark on the process of their enactment. This issue was reflected in a President’s statement after he removed the Prime Minister. The President stated that he will never allow a Federal Constitution or allow the merger of the Tamil ‘areas of historical habitation’ of the Northern and Eastern provinces as called for in the 1987 Indo-Sri Lanka Accord and in Sri Lanka’s current constitution. “These two will only happen on my dead body”, said the President. Senior SLFP leaders echoed the President by making statements that there was an attempt to split the country. This current crisis has permanently shut any possibility of solving the Tamil political question through Constitutional means within the existing Sri Lankan political framework. This follows the pattern of unilaterally abrogating power—sharing agreements between Tamil leaders and the Sri Lankan Government since 1957. The latest development also clearly indicates that,even if the main Sinhala parties come together ostensibly to solve the Tamil political question, the effort will fail. Even if Mr. Ranil Wickremesinghe is restored as the Prime Minister, with the present acrimony between the UNP and SLFP, there is no way that both parties will work together and maintain a two-thirds majority to address any important issues on the Tamil National Question. Even when India intervened and tried to address the Tamil National Question, taking the Sri Lankan government as a partner in the Indo-Sri Lanka Accord, the effort also failed. There was hope that with outside pressure again starting in 2015, there would be more success, but that has shown to be a false hope. The above demonstrates that the government of Sri Lanka cannot be a partner in any initiative to resolve the Tamil National Question. • The main question is how is the Tamil political question going to be permanently solved? • Is it time to consider international mechanisms used to bring peace to other global conflicts, like holding a Referendum to find the wishes of the Tamils through a peaceful and democratic means? The other victim of this current crisis is the accountability for mass atrocities committed against Tamils by the Sri Lankan Government. According to the UN Internal Review Report on Sri Lanka, around 70 thousand Tamils were killed during the final six months of the war that ended in May 2009 and hundreds of Tamil women were sexually assaulted by Sri Lankan Security Forces. There are around 90 thousand single Tamil women head of household (most are war widows), facing numerous challenges since the war ended in 2009. Sri Lanka has the second highest number of disappearances in the world according to the UN. The fate of thousands who surrendered ten years ago along with their families (including babies and children)is still unknown. The UN Human Rights Council passed two Resolutions, 30/1 and 34/1,to secure accountability. Sri Lanka co-sponsored Resolution 34/1 in 2016, which gave a two-year extension to fulfil its commitments, especially the establishment of a hybrid court including international judges and prosecutors. The Sri Lankan government not only took no meaningful steps to fulfil its obligations, but also its President and former Prime Minister have repeatedly and clearly stated that they will not fulfill their obligations. There is no need to address the position of the present purported Prime Minister, Mr. Rajapaksa, with respect to the accountability process. Whether Mr. Rajapaksa remains in power or not, the mere fact that President Sirisena has appointed him as Prime Minister clearly shows that the President is not a partner in the accountability process. • What should the UNHRC do in the March 2019 Session? • Is it time for the UNHRC to refer Sri Lanka to international criminal mechanisms or to the International Criminal Court (ICC)? Is it time for the General Assembly to establish an international, impartial and independent mechanism to preserve evidence and protect the witnesses? The international community has a moral obligation to address the Tamil National Question since it acted like an Ostridge during the mass atrocities committed against the Tamils in 2009. 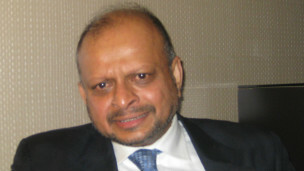 The international community has a contractual obligation to assist the Tamils to fashion a permanent political resolution since the Tamils cast their ballots in support of the “good governance” coalition pursuant to the promise/hope given to them by the international community that their political resolution will be met. The credibility and the integrity of the UN System also warrants it. The active engagement by the international community to solve the current political crisis should also expand to address solving the Tamil political question, preventing future mass atrocities, and bringing justice those who have committed international crimes against Tamils. Traditional justice as well as transitional justice demand it.